Successful businesses make the most out of every personal relationship, and for that, you need more than just a contact list. Reviewing the pros and cons of customer relationship management (CRM) software can make all the difference when managing and growing a business. When selecting a CRM software system, choices include a robust CRM software solution, a simple CRM designed for very small businesses or a free version to fit your budget. Regardless of which is best for your team, CRM software is more than a list, it is a contact list with a brain. Why CRMs fail and how to avoid the failures. 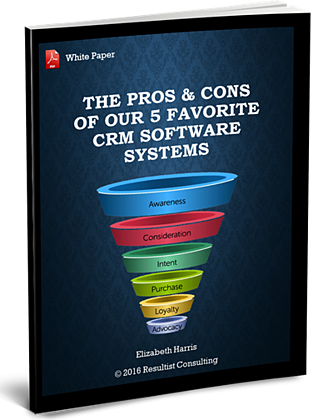 The pros and cons of our 5 favorite CRM solutions. The difference between a spreadsheet vs CRM software for customer relationship management.